Find out first! Look here for the latest news and press releases from Rice Lake Weighing Systems. The Rice Lake tour bus is "On the Road" with an award winning new look, bringing exceptional weighing products right to the businesses that use them every day. Even those unable to attend costly trade shows can experience Rice Lake equipment up close and free of charge. Watch live demonstrations! Ask questions! Learn how weight-based measurement is helping industries compete and how it can help your business too. Rice Lake attends tradeshows throughout the year and across the continent. This is a current listing of the shows we are scheduled to attend. If there is a show you think Rice Lake should be a part of, or if you have any other questions, please email exhibits@ricelake.com. We’re committed to helping our customers to be the best by every measure by providing quality training courses. From general industry information to product specific training, learn from the best at Rice Lake. 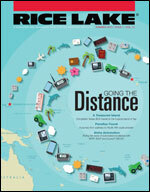 Rice Lake strives to keep customers in step with the latest news and developments in weighing. Sign up here to receive our bi-annual Rice Lake magazine or our bi-monthly eSource newsletter, with content that's both informative and entertaining. View eSource content and magazine articles by category or enter a search term. Electronically or in print, the Rice Lake magazine is packed full of entertaining and informative articles for dealers and end users alike. Sign up to receive our quarterly publication or download your copy today! Our monthly e-newsletter comes right to your inbox, packed full of useful tips, articles, and other announcements. Sign up and stay connected. As a complimentary service, Rice Lake provides a growing selection of web-based training and overview sessions. 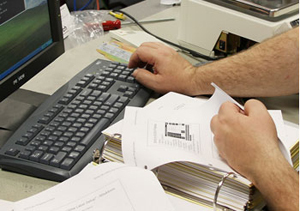 Whether you are just entering the scale industry or are an experienced scale technician, these webinars are designed to help you gain a greater understanding of Rice Lake products. From product overviews to in-depth programming, there’s something for everyone.